One aspect of our research focuses on fundamental mysteries of development. How does the mouth form? What is the Extreme Anterior Domain? How does the brain get its shape? What is the brain ventricular system? Classical embryologists had noted an anterior region where ectoderm and endoderm are directly juxtaposed, without intervening mesoderm that is present in all deuterostomes. We named this region the ‘Extreme Anterior Domain’ (EAD) and showed it gives rise to the mouth. We have identified steps and signaling pathways involved in mouth formation, showing that canonical Wnt signaling inhibitors are required for normal basement membrane dynamics and mouth opening. 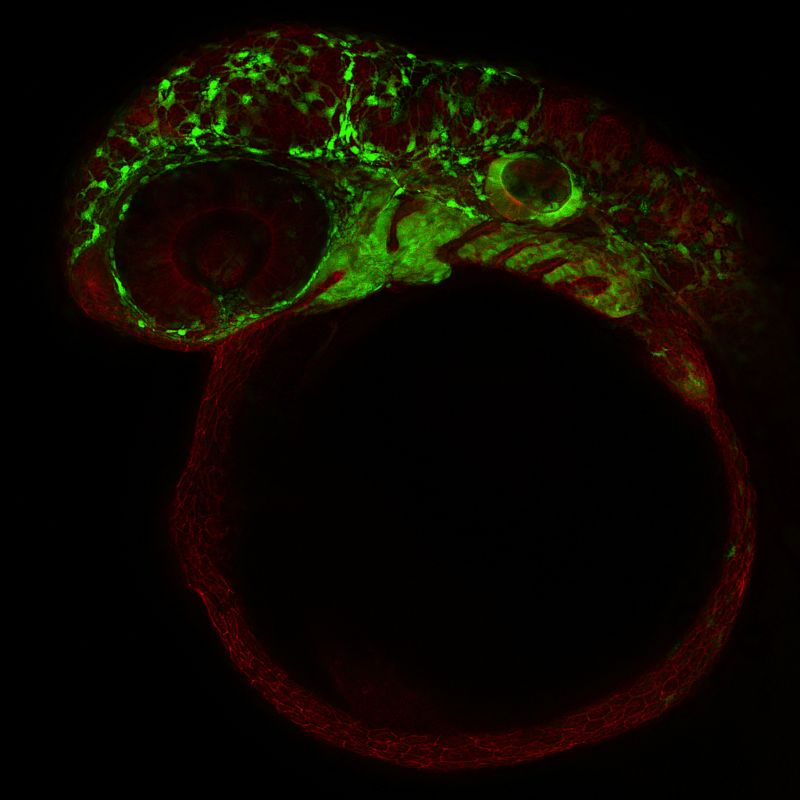 Subsequently, we showed that the EAD is also a facial signaling center, which guides neural crest into the developing face, using the Kinin-Kallikrein pathway. The notion that the EAD is a signaling center was unanticipated, and this activity is likely to be conserved in mammals. Recently, we demonstrated that the incoming neural crest signals back to the EAD, and elicits morphogenesis of a ‘pre-mouth array’. Our work is relevant for understanding and treating human craniofacial defects. Although it is clear that a neural tube is essential for vertebrate nervous system formation, there is poor understanding of why the tube is important. The lumen of the neural tube is filled with cerebrospinal fluid (CSF), of complex composition that forms ‘the third circulation’ in the brain and spinal cord. 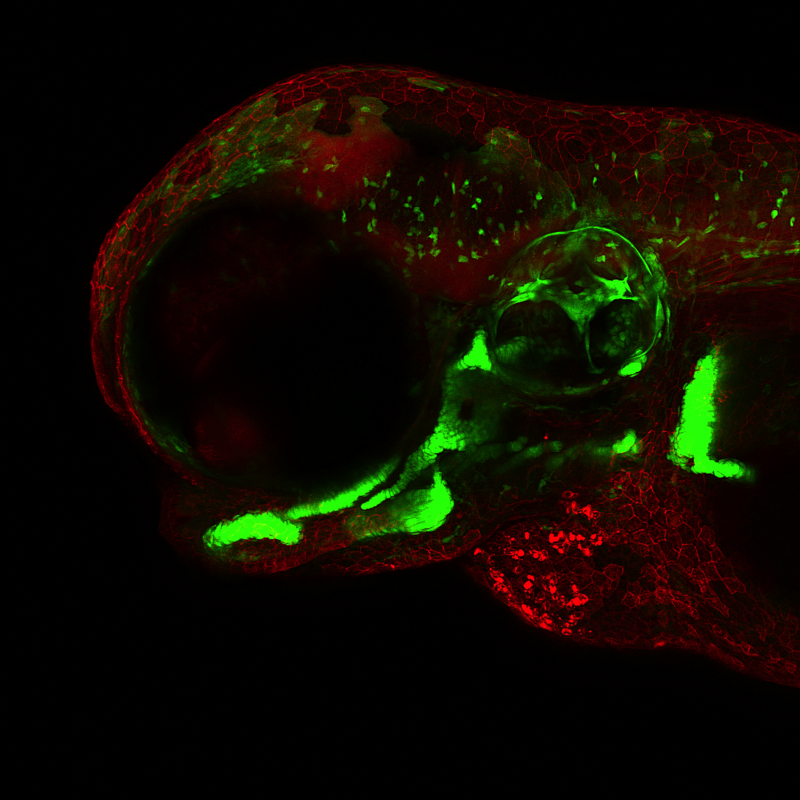 Our group pioneered the zebrafish as a useful and accessible model for study of brain ventricle development and function. 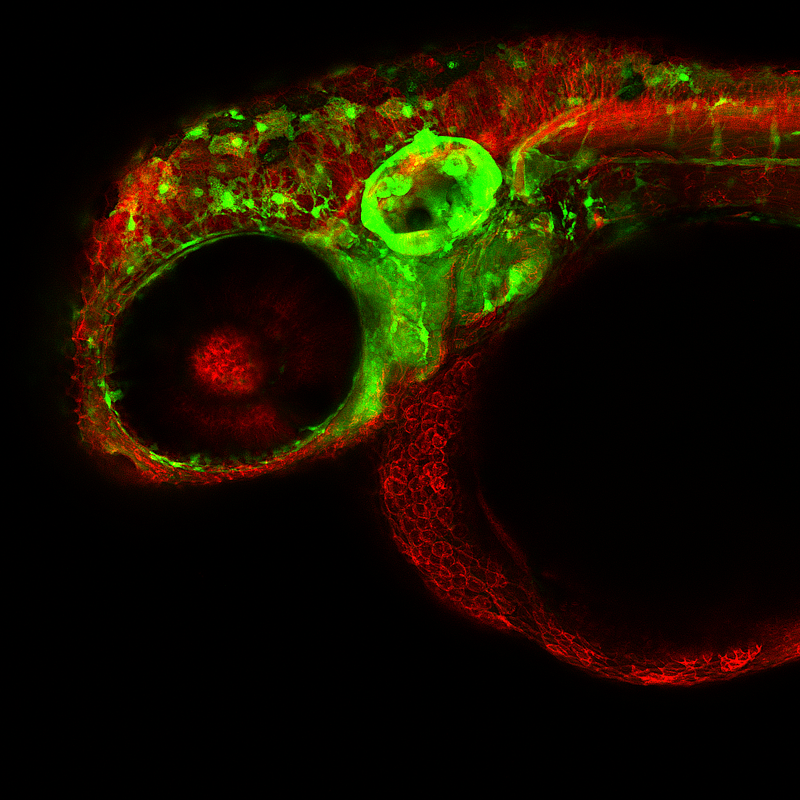 We identified mutants and genes that impact zebrafish brain ventricle formation, among these the Na+K+-ATPase that is essential for both neuroepithelial formation and CSF production. We developed a drainage assay that showed necessity for CSF in brain cell survival. Using mass spectrometry and complementation assays, we identified Retinol Binding Protein 4 (RBP4) as acting from the CSF through retinoic acid signaling to promote neuroepithelial cell survival. Recent studies from our group have defined directionality in CSF flow, identifying mechanisms that may underlie both mechanical and chemical signaling during brain development.